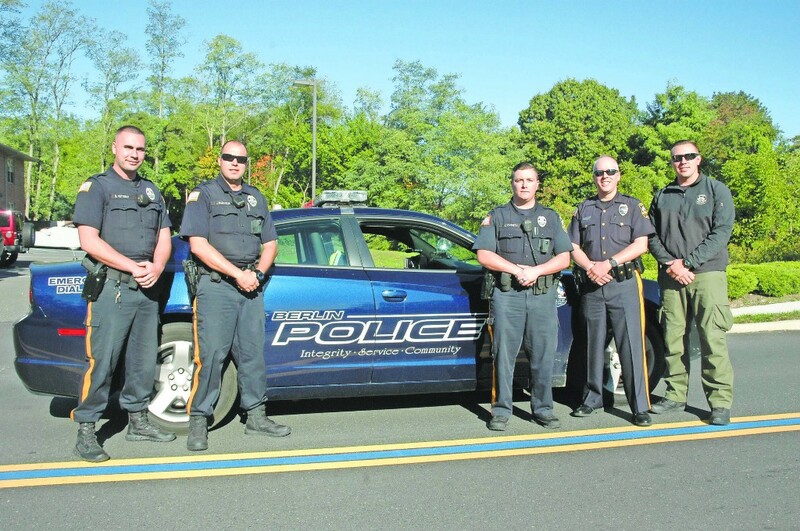 Berlin Borough recently painted a blue line between the double yellow line on Taunton Avenue as a symbol of the government and community support of the police. A police officer’s job is to serve and protect his or her community. Asking for recognition is not in their job description, but the Berlin Borough government thought it was time police officers deserve recognition for the work they do. After noticing other towns in South Jersey such as Oaklyn and Cherry Hill had recently painted blue lines on their streets, Berlin’s mayor and council members thought they should do the same for their town. It didn’t take much time for them to decide on painting the blue line on Taunton Avenue, their most heavily traveled street, and painted it between the double yellow lines during the first week of October. “We had it (Taunton Avenue) repaved last year, and with the bold, blue stripe, it looks beautiful,” Berlin Mayor Jim Bilella said. He said the blue line doesn’t just give recognition to the police; it represents the community supporting them. Berlin Police Chief Michael Miller said the entire police department was elated when it was told of the blue line. The Berlin Police Department posted the photos on its Facebook page shortly after it was finished and generated an abundance of “likes” and shares. The response was positive even before the blue line paint job was complete, and not just for the police officers. As the Berlin Public Works Department painted the blue line, drivers were honking, beeping and giving the thumbs up to those workers and the officers conducting traffic around the paint job. Miller noted those officers had already finished their shifts and were volunteering their time to help with traffic at no cost and were happy to do it, especially with the response they received from the drivers.